Gov. Ed Rendell signed into law a bill that will provide some immediate relief to the anticipated spike in taxpayer contributions to the state's two public pension systems and alters the pension benefits for incoming legislators as well as school and state employees hired on and after Jan. 1. It also creates an independent fiscal office that will provides nonpartisan budget projections to the legislative branch, which previously was reliant on the executive branch to provide those projections. The bill, which essentially rolls back the pension enhancements approved in 2001, increases from five to 10 years the time it takes for newly hired employees to become vested and delays the retirement age to 65 from 60 for state employees and 62 for school employees. It rolls back the multiplier used to calculate pension benefits to 2 percent from 2.5 percent. It also prohibits new employees from taking a lump-sum payment of their contributions upon retiring. And it adds a requirement that employees pay a higher contribution rate if the pension fund suffers losses. For the state and school district taxpayers, it buys time to fund the increases to help fund the pension plans. What it does is akin to taking a 15-year mortgage and refinancing it to a 30-year mortgage, making the monthly payments smaller, but the overall amount paid for the mortgage much bigger. Players, Performers to merge - PORT ALLEGANY—The Port Performers and the Potter Players will hold a joint meeting at 3 p.m. Sunday, December 12, in the Gethsemane Lutheran social hall on Arnold Avenue. People interested in becoming involved in the combined group’s dramatic and musical productions are encouraged to attend the meeting. 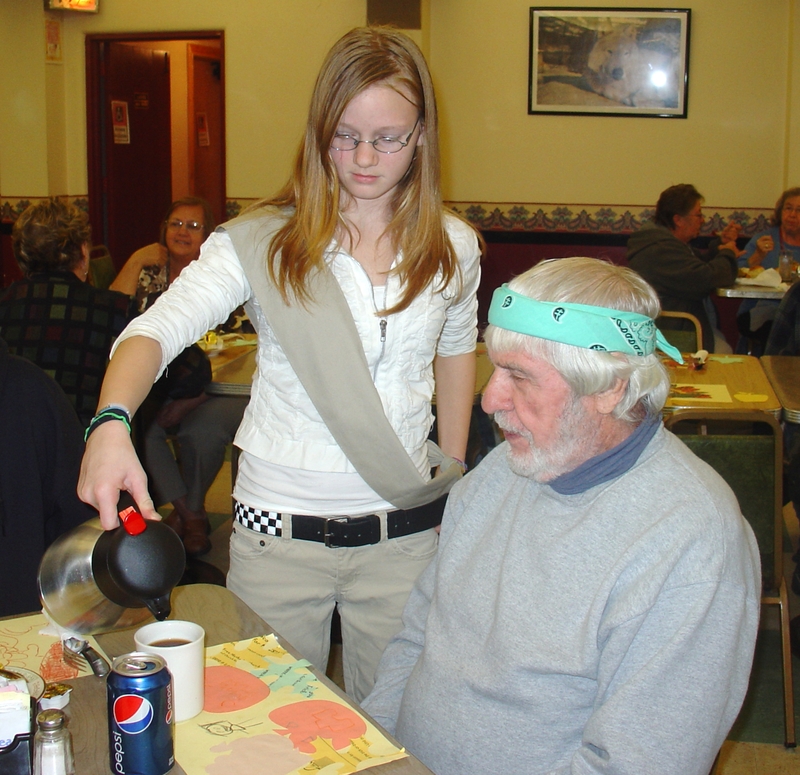 Volunteers are needed for all aspects of production, from acting, singing and dancing to makeup, costuming, lighting, set construction and publicity. The Potter Players have presented numerous theatrical and musical shows in recent years. The Port Performers’ initial production was “Moments to Remember,” a musical revue featuring music of the 1950s, 1960s and 1970s. It was sponsored by the Port Allegany High School class of 1960, in late September, timed to coincide with Alumni Weekend. The two groups plan to reorganize into one unit and produce shows to be performed in both Potter and McKean counties. Father/Daughter Survive First Round of AMTC Album Eliminations - Local residents Mandy Miles (Amanda Miles Cox) and her father Walt Miles recently returned from a singer/songwriter competition in Orlando Florida that was put on by Actors, Models, and Talent for Christ (AMTC). Mandy and Walt have made it through the first round of eliminations and now they need your help to win the opportunity to be among the 12 finalists on AMTC’s Shine album. You can vote for Mandy’s and Walt’s songs by logging onto www.amtcmusic.com. You can vote once a day until December 15, 2010. Their songs may be purchased for download at this site as well. Shine is AMTC Music's online showcase and competition for Singer/ Songwriters. AMTC Music’s purpose is to call attention to many of God's talented artists. AMTC Music is part of Actors, Models and Talent for Christ: a movement of performers who want to example excellence and positivity in the entertainment industry. 100% of the profits made from download and CD purchases will be given to the non-profit organization “Stand up for Kids”. StandUp For Kids is a not-for-profit organization founded in 1990 to help rescue homeless and at-risk youth. With national headquarters in Atlanta, Georgia, StandUp For Kids is run almost entirely by volunteers, and has programs in a number of states. BRADFORD, PA – Students at the University of Pittsburgh at Bradford can now minor in digital graphic design, which blends artistry with business skills. Faculty from both the Division of Communication and the Arts and the Division of Management and Education developed the 18-credit minor, which is expected to be popular with students in many majors, including broadcast communications, business management, computer information systems and technology, hospitality management, interdisciplinary arts, and public relations. Already students have begun signing up for the minor, which includes courses in art appreciation, design, digital photography and imaging, drawing, web programming, and visual communication. “It’s already a popular choice for the broadcast communication students, all of whom need to have a minor as part of their requirements,” said Jeff Guterman, associate professor of communication, chairman of the Division of Communication and the Arts, and director of the broadcast communications program. Guterman said he and Kong Ho, associate professor of art, had been looking at a digital graphic design minor for a couple of years when they were approached by Betsy Matz, chairwoman of the Division of Management and Education, who was also interested in providing digital design skills for business students. Ho spearheaded the development of the minor, which required that Pitt-Bradford add one course in Digital Photography and Imaging, taught by Ho. The program covers the aesthetic, theoretical and practical components of graphic design and will give students insight into professional digital graphic design practice and a deep understanding of how design plays an important role in the communication and marketing processes. Music On Menu At Free Dinner - This month’s free community dinner, sponsored by the Port Allegany, Coudersport and Emporium Free Methodist churches, will feature music in addition to soups, breads and desserts. Music will be provided by Christian musicians from Coudersport and Emporium. Among those participating will be Pastor Pete and Pam Tremblay of Coudersport. The event is set for 5 p.m. Saturday, November 27, at the Free Methodist Church Fellowship Room. The parking lot entry is off Smith Avenue, across from the Senior Center’s side door. 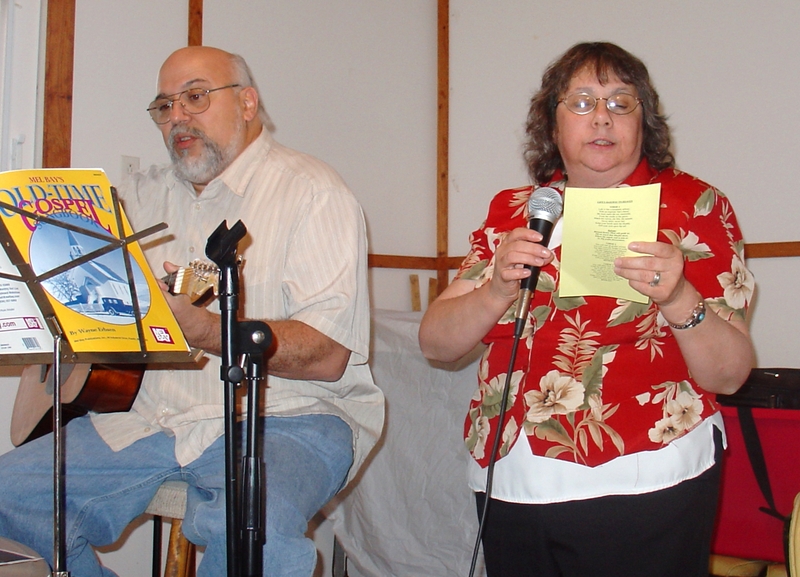 Pastor Pete and Pam Tremblay of Coudersport, singing at a recent event at Highlander Christian Camp near Kane. Advent Services Begin - The Port Allegany Ministerium is once again sponsoring weekly Advent Services on Wednesdays at 12:05 at the First Presbyterian Church located on Church Street. The first service will be held Wednesday, December 1. Speaking on December 1 will be Pastor Randy Headley. Luncheon will follow the service. Host churches for the first service will be Evangelical Covenant and Alliance. All are welcome. BC3 Expands Service Area - Butler County Community College has expanded their service area. It was announced recently that BC3 now offers classes to 11 Pennsylvania counties, including McKean and Potter Counties. 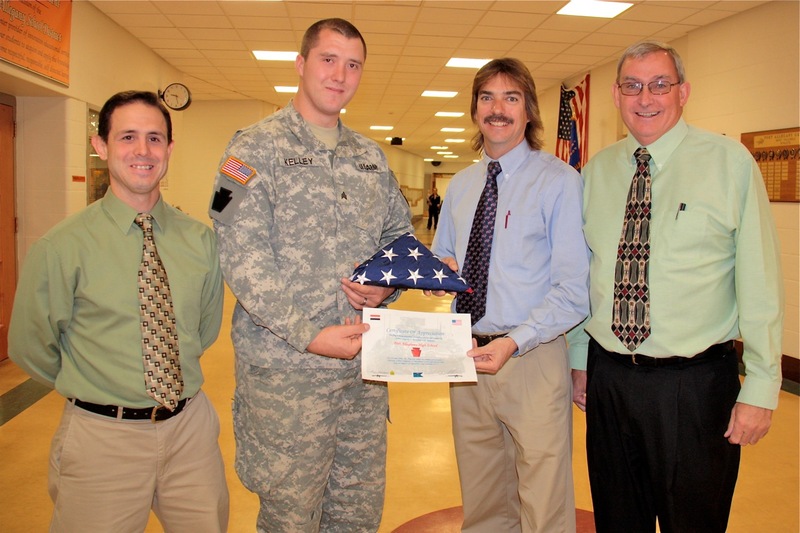 Services are offered through the PCEC Port Allegany Office at the Seneca Highlands Area Vocational-Technical School. BC3 is also offered at the CEC of Elk and Cameron Counties (St. Marys); Jefferson County Career Center (Reynoldsville); Warren-Forest Higher Ed Council (Warren) and Clarion County Career Center (Shippenville). For further information, interested persons can contact the Student Services Specialist Donna Kilhoffer at (814) 335-9656 or by e-mail, donna.kilhoffer@bc3.edu. Click here for the BC3 Flyer. Rabies Alert - Port Allegany resident Barb Spencer wanted to share an alert issued by Alexis R. Snow, DAHI from the Pennsylvania Department of Agriculture. It reads as follows: Please be advised that a skunk found on North Brooklynside Road just west of Port Allegany in McKean County has tested positive for rabies. This is the second rabid skunk found within the last three months on North Brooklynside Road. The homeowner found the skunk attacking her dog in the middle of the day. The dog was bitten several times. After the attack, the owner brought the dog into the house and cleaned its wounds. The homeowner will be consulting her family physician about rabies post exposure prophylaxis. The dog's rabies vaccine was not current and the dog will be quarantined to the owners home for 180 days. Shopping Locally Pays Off - Ruth Johnson and her husband, Rod, won two VIP Steelers tickets by purchasing their gas at J and J Service. Mrs. Johnson is pictured here with Jason Stake from J and J Service. In addition, there were two instant winners of Gulf Gas Cards. They were Steve Evens and JoElla Wykoff. Neva C. Grimes, 95, of Lower Grimes Rd., passed away Tuesday (Nov. 23, 2010) in Sena Kean Manor, Smethport. Click here for a full obituary. Shane Ellsworth Lathrop, 39, of Port Allegany, died unexpectedly Monday (November 22, 2010) in the Charles Cole Memorial Hospital, Coudersport. Click here for a full obituary. Ralph A. Culver, 82, of Comes Creek Rd., passed away Thursday (Nov. 18, 2010) in Sweden Valley Manor, Coudersport. Click here for a full obituary. Click here for a full obituary. CPO, Robert S. Weimer, USN (Ret. ), 74, of East Flat Rock, NC, former Port Allegany resident, left this life Tuesday, November 16, 2010, at the Elizabeth House. Click here for a full obituary.